What Is a Paper Bitcoin Wallet, and Why Do I Need It? 1 What Is a Paper Bitcoin Wallet, and Why Do I Need It? Essentially, any bitcoin wallet is composed of two keys. One of the keys is public and one of them is private. The public key is your public wallet address and it is through this public address that others can send bitcoins to you from any part of the world. The private key is what allows you to send bitcoins to the wallets of other individuals from yours. It is the combination of both these keys that allow for a safe cryptocurrency transaction between people. It’s crucial to note that your private bitcoin wallet key should only be known to you. Remember that if anybody else obtains your private key, then they can steal all your funds. Therefore, it is wise, for safety’s sake, never to disclose your private key. It would be similar to handing someone your credit card information. Users who keep their cryptocurrencies in online wallets or hard drive wallets, like USBs, consistently expose themselves to the risk of hacking, viruses, and keyloggers that can potentially steal all their cryptocurrencies, forcing users to kiss their digital assets goodbye. The first step to creating a physical paper bitcoin wallet is to generate a unique bitcoin address. This can be done through your web browser by visiting BitAddress.org. The website is entirely self-explanatory; it generates a key for you. For additional protection, users can further complicate their address by following the information provided on BitAddress, such as moving your mouse cursor around the screen. After completing this process, users will be presented with their public and private keys, as well as their QR codes. It is ill advised to scan any of this information. Users should then click on the “Paper Wallet” tab provided to them. Under this tab, users can select the number of addresses that they would like to generate. If users do not like to keep the bitcoin wallet artwork that the site automatically generates, they can hide it by clicking the “Hide art?” button when prompted. Once the desired number of addresses is selected and a decision has been made pertaining to artwork, users can simply hit the “‘Generate” button to make new bitcoin wallets. As soon as BitAddress has generated the new wallets, users can click “Print” in order to create hard copies of their wallet address. Your web browser will prompt you to select the printer of your choice. Certain browsers, like Google Chrome, may allow you to save your wallet address conveniently as a pdf file for later printing. Those familiar with the blockchain.info website will tell you that the platform offers users the ability to make a safe paper wallet, as well. All you would have to do is find a paper wallet link button in the left-hand menu. There are many other platforms and websites that allow users to create paper wallets. Certain websites are much more sophisticated than others, such as bitcoinpaperwallet.com. Bitcoinpaperwallet allows users to create tamper-resistant designs for their paper bitcoin wallets. Additionally, holographic labeling may also be used to show that the wallet is tamper free, in addition to other various perks. 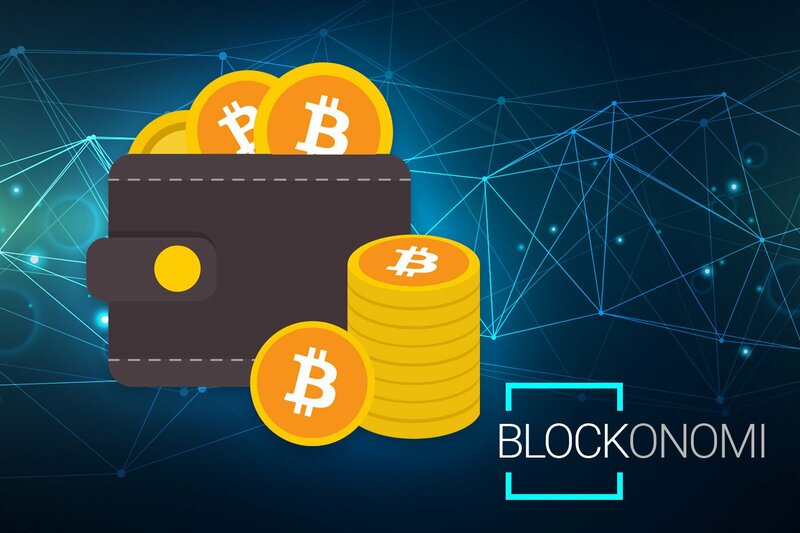 Users should always take serious precautions to ensure that their paper bitcoin wallets are safe, especially if these wallets are used to store a substantial amount of digital assets. Scams and theft are very common in the cryptocurrency world; that’s why it is extremely important for users to remain vigilant and safe at all times. Important: If you are storing large amounts of cryptocurrencies, we highly recommend you use a Hardware wallet such as a Trezor or Ledger – take a look at our full guide to both devices here. The following tips can help you remain safe regarding your paper wallet. Make sure that nobody sees you creating your paper wallet. Unwanted viewers may copy all your keys and steal your funds, leaving you completely perplexed as to how your funds were stolen. BitAddress and LiteAddress allow users to enable two-factor authentication, providing for greatly improved overall wallet security. To avoid the risks of catching any spyware or keyloggers that could be used to snoop through all your activity, users should use a virus-free and clean operating system. Ubuntu is highly recommended for a virus- and malware-free experience. Once you create and set up your paper wallet through any website, the website code should be able to run offline. To ensure your safety and privacy, disable your internet connection before generating public and private keys. If you wish to go the extra mile and take even more security precautions, you could print the paper wallet from a printer that isn’t connected to any network. Individuals are also advised to store their paper wallets in a sealed compartment to avoid getting the paper wallet wet and damaged. Users have also laminated their paper wallets to ensure protection from the elements. Safes provide a great amount of security and severely reduce the risk of someone stealing your physical bitcoin wallet. So, if you have a safe in your possession, we highly advise that you store your wallet there. It is also not uncommon for users to entrust their paper wallets to solicitors, or individuals who you could trust with your will, testament, and other critical documents. Users have also stored their paper wallets in deposit boxes. Sure, it’s pretty easy to create a paper wallet for bitcoin and Ether, but it may be a little more complicated to generate a paper wallet for a less commonly used cryptocurrency that doesn’t have an established address generator online. Have no fear; creating a paper wallet for altcoins and less used coins is possible. Users should keep in mind that every single altcoin carries a variation of the BTC-QT wallet application. Simply visit the site that you used to create your paper wallet and check to see if there is a “Receive” tab that you can click on. Select the address you wish to copy with your mouse, and copy it over on to your computer’s clipboard. Following this, click on the “Help” menu button and select “Debug.” When the console tab opens up, enter <<dumpprivkey>> and paste your wallet address over. After completing these steps, the console should display the private key associated with that wallet. Therefore, you will not have access to the private and public keys of the needed wallet. Users can print these codes or select to generate QR codes for printing. Keep in mind that pertinent wallet details will be on your computer after carrying out this process. You should remove them by finding the corresponding folder that holds the “wallet.dat” file and deleting it. However, you should make sure that no assets are stored in the wallets that you are attempting to delete from your personal computer to avoid a total loss of funds. Congratulations, following the instructions provided in this article, you should now be in possession of a truly unhackable paper wallet for your cryptocurrency storing needs! If you don’t fancy a physical paper-based wallet, keep in mind that there is a ton of alternatives to safely store your crypto assets. I have lost password for blockchain.info wallet! It just dont work anymore! I got saved btc adresses and exact amout of btc on them! Can I somehow do something to get access to my btcs? Thank you!!! Do you have your 12 word recovery seed ? What none says is can all coins and tokens be stored using bitaddress.org ?I need to store tokens and coin. Whats the deal? How do I do this? Everyone says store your bitcoin its simple go here ! Ok so I can store my bitcoin but what else? Sorry you may think its easy but us learners do not. You old hand crytpo people bypass information. Silly me. I thought a wallet would hold all kinds of money. I bought a Trezor and sent 200 maid to it. They are still in the ether. Reading your article it is still not clear that there may be a wallet that can store every coin you can buy. What does a newbie do? Trezor did not make it clear that I could only store bitcoin and ether on it. How many wallets would need to be created for a random trader?